We provide beautiful joomla template . 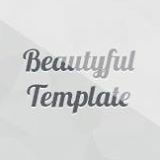 All our templates and extensions have free edition for testing. Hope you can review them for us. Последнее редактирование: 24.02.2014 11:55 Редактировал Beautiful Templates.